Based on Veronica Roth’s #1 New York Times best-selling book series which has sold nearly 22 million copies worldwide, Divergent features an all-star cast including Shailene Woodley, Theo James, Academy Award winner Kate Winslet and Ashley Judd. Divergent stars Shailene Woodley (upcoming The Fault in Our Stars), Theo James (Underworld: Awakening), Ashley Judd (Double Jeopardy), Jai Courtney (A Good Day to Die Hard), Ray Stevenson (Thor), Zoё Kravitz (X-Men: First Class), Miles Teller (The Spectacular Now), Tony Goldwyn (TV’s “Scandal”), Ansel Elgort (upcoming The Fault in Our Stars), Maggie Q (TV’s “Nikita”), Mekhi Phifer (ShowTime’s “House of Lies”) and Academy Award® winner Kate Winslet (Best Actress, The Reader, 2008). Divergent is set in a post-apocalyptic world where society is divided into groups. The groups, also called factions are each dedicated to a specific virtue. The five factions are Candor (honest), Amity (peaceful), Abnegation (selfless), Erudite (intelligent), and Dauntless (brave). The faction system allows their dystopian society to prosper, although the factionless (those who fit into no category) do wander the streets, dirty and homeless. Beatrice Prior (Shailene Woodley) was born into Abnegation. Her and her brother Caleb (Ansel Elgort) are of age to take a test that tells them their faction. After learning your test results, you are still allowed to choose any of the five factions. If you leave the faction you were born into, you leave behind your family and your old way of life. When Beatrice has completed her test, she learns that she was not able to be categorized, she is something known as Divergent. Because she does not fit into any one group, the ruling element fears her. Her test proctor encourages Beatrice to tell no one of her Divergent result. Beatrice sits with her parents (Tony Goldwyn and Ashley Judd) as the choosing ceremony begins. 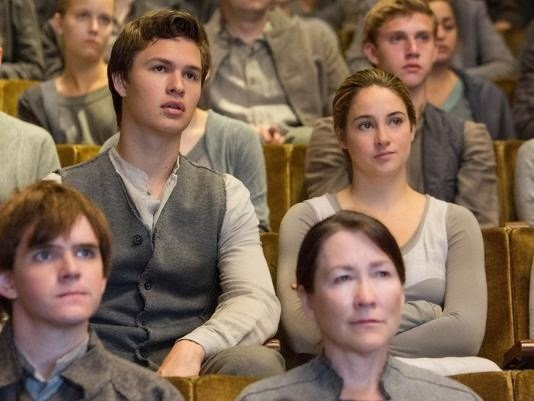 Caleb shocks as he chooses Erudite over Abnegation and then Beatrice must make her decision. She too chooses to leave her birth faction, aligning herself with Dauntless. Where other factions walk, Dauntless runs. Beatrice must climb to an elevated train platform and jump on the moving train in order to make her way to Dauntless turf. After exiting the still moving train, Beatrice faces her first test – to jump into a black hole. 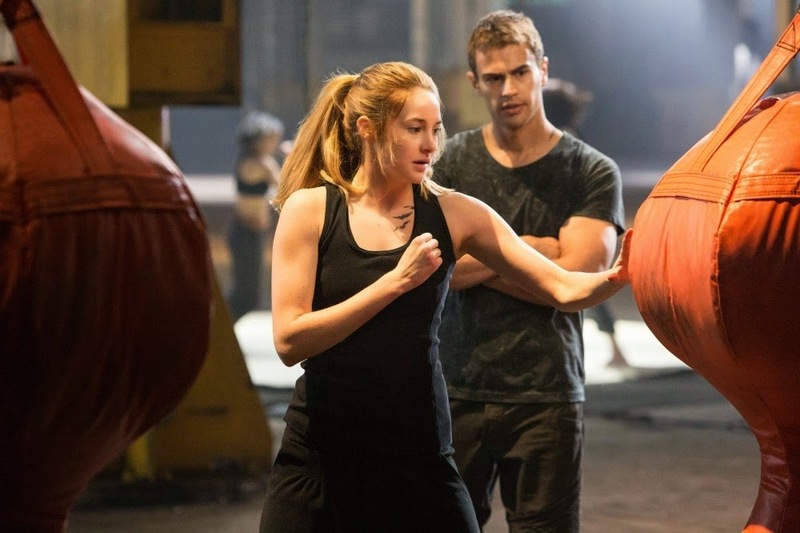 At the bottom she meets the head trainer named Four (Theo James) and she gives her name as Tris. Although Four and Tris clash early on it’s clear that the love-hate relationship will later have a lot of love. Dauntless training involves fighting the other new recruits, both male and female. Although Tris is not physically tough, she is willing to put forth quite an effort. The newbies soon learn that not everyone who joined Dauntless will stay. Those who score below a certain threshold will be cast out, and will become factionless. While outraged that they didn’t have that information before making their faction choice, the recruits realize that anyone who would have been swayed by the information really doesn’t belong in Dauntless. In the second half of the film, we learn that some factions are not what they seem. There is a conspiracy brewing and the reason a Divergent citizen is so feared is because they can’t be easily controlled. If, like me, you’ve been able to channel your inner teenager and enjoy films like The Twilight Saga, or The Hunger Games and its sequel, you are likely to enjoy Divergent. 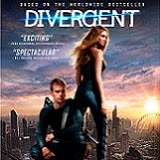 Divergent is the first in another young adult book series turned movie(s). 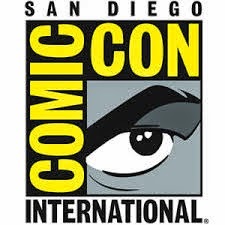 I first learned about the books and the movie at Comic-Con, and was therefore introduced to the actors from the movie before I ever read the books. Usually my biggest complaint is that I would have chosen a different actor but after seeing the Comic-Con panel, I only pictured Shailene Woodley as the lead character Tris. There are many easy similarities to see between Divergent and The Hunger Games. 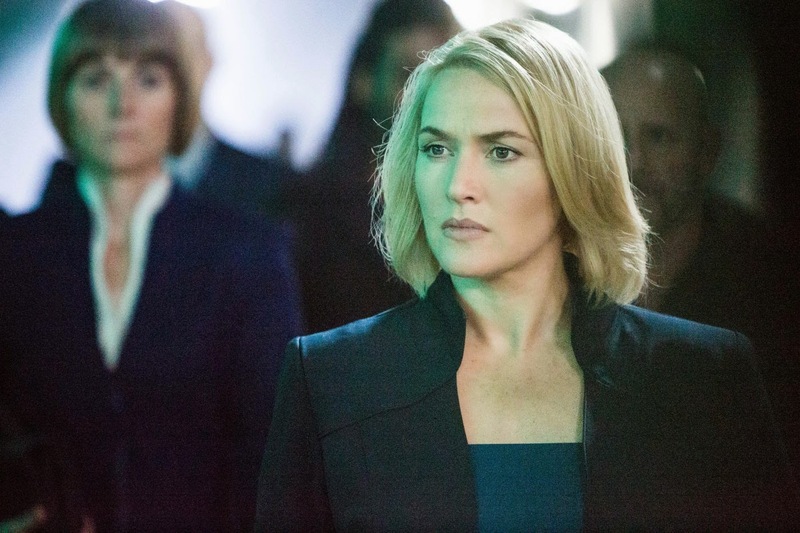 Kate Winslet is the Erudite leader who could easily be compared to The Hunger Games’ President Snow. Both societies have seen great destruction and have come up with an outrageous and universally accepted method of rectifying the situation. Divergent doesn’t end with a cliffhanger, as if they weren't sure if they would get to more of them, but there's actually two more films now in production. The first part of the film quickly took care of the set up – explaining what the society looks like. It is made clear that the Dauntless are the protectors of the city, it is not made clear what is outside the walls to fear. I expect some further explanation in the next film. If you didn't enjoy The Hunger Games it's most likely that you'll probably have the same reaction to Divergent as they are very similar. With The Giver about to release in theaters, there is no shortage of young adult books/films about utopian societies developed from the ashes of a formerly destructive community. With young adult movies, I don’t expect Oscar worthy acting or prize-winning writing, but I do expect entertainment and Divergent didn’t fail me there. Whether or not it’s predictable or terribly unique is beside the point. I still enjoyed the film and look forward to the sequel. Don’t pick this one apart, just watch and enjoy. 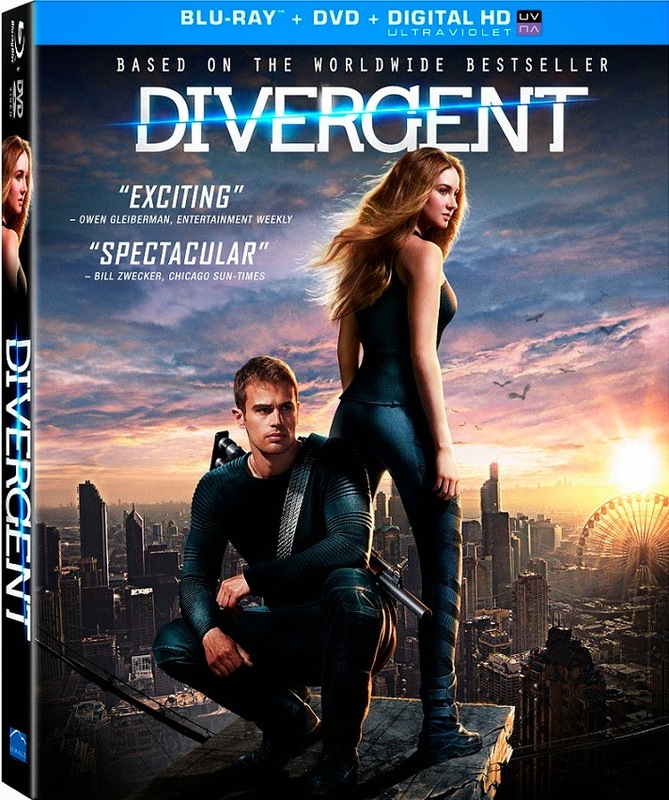 Divergent is presented on Blu-ray with an AVC encoded 1080p transfer in a 2.40:1 ratio. The film offers a clear, sharp picture with excellent detail in the dust of the outskirts and the center of the city. The overall color palette is intentional lacking with the factions signature colors popping off the screen. With much of the film focused on Dauntless, the atmosphere stays dark. When the stark white appears later you appreciate the lack of visual noise that could have been apparent. 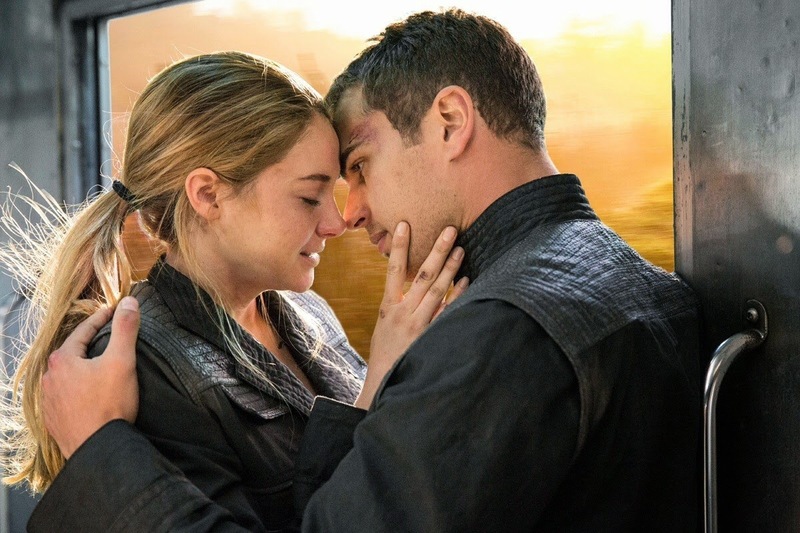 Divergent's DTS-HD Master Audio 7.1 mix is full of effects utilizing all channels of your sound system. Gunfire whizzes from side to side as does the elevated train. The effects do not overpower the dialogue which is intelligible and crystal clear throughout the film. The Blu-ray contains two commentaries and everything you’d expect except a gag reel. Audio Commentary with Director Neil Burger - The Director spends a bit more time describing scenes, rather than adding additional information. He does say nice things about cast and crew and offers a decent commentary. Audio Commentary with Producers Lucy Fisher and Douglas Wick - The better of the two commentaries, this contains more information about casting and shooting the film and involves more humorous observations. Bringing Divergent To Life - Four behind the scenes featurettes lasting over 45 minutes which look at all aspects of shooting the film, including interviews. Faction Before Blood - A look at the five factions. Deleted Scenes - Over four minutes of deleted scenes. Marketing Gallery - Two theatrical trailers and a poster gallery. While this scenario has been imagined by several different sources lately, there's still enough different about each that I can enjoy them as separate entities. Instead of comparing Katniss to Tris, I just enjoy each film for what it is. This Blu-ray offers a stellar audio and video presentation, more than acceptable acting, and a storyline that has me interested to see where it goes in the future. The film could have used a bit more editing to take the run time down to only two hours, but overall Lionsgate and Summit Entertainment have presented a Blu-ray worth owning.